NZ Sound’s Ray Ward with the latest addition to his inventory, the compact JBL VTX A8 line array. 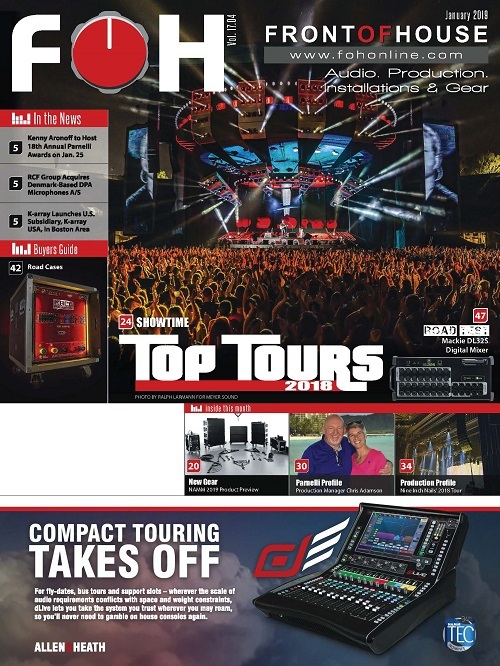 TAURANGA, New Zealand – The world’s first festival of 2019 saw over 30,000 festival goers brave the hot summer sun at Mount Maunganui to enjoy world class music entertainment, with an assist from NZ Sound’s Ray Ward, who is pictured here with the latest addition to his inventory, the compact JBL VTX A8 line array. The world’s first festival of 2019 saw over 30,000 fans brave the hot summer sun for Bay Dreams, at New Zealand’s Mount Maunganui to enjoy world-class music entertainment. Local and international artists including Peking Duk, Sticky Fingers, London Elektricity, Shapeshifter, Ladi6, Tash Sultana and rapping superstar Cardi B were part of the line-up. In only four years, Bay Dreams has fast become one of New Zealand’s best summer festivals. Due to the popularity of the event, a second South Island location was added to the itinerary in the city of Nelson. NZ Sound Reinforcement, a full-service production company deployed a stunning JBL Professional audio solution for the second stage with a combined audio output of 500,000 watts RMS that included the innovative JBL VTX A12 and new VTX A8 line array elements. 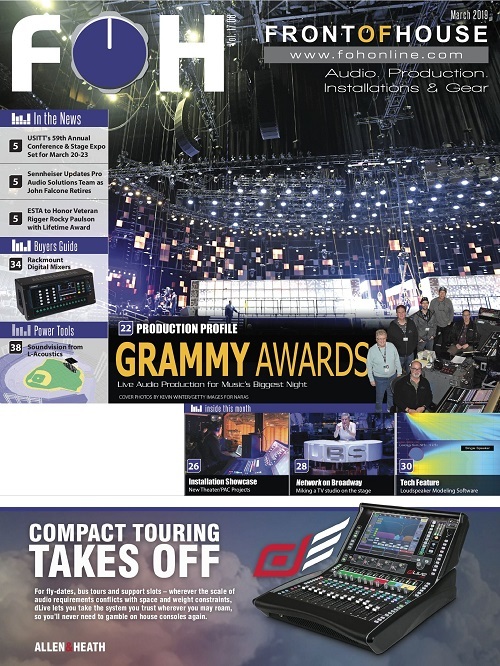 Bay Dreams signaled the upswing of the summer tour season in New Zealand, with NZ Sound’s inventory set to bring exceptional audio coverage to the music festivals and international artists such as UB40, Toto, Slayer, KORA, Sound Splash and The Hollies who toured New Zealand over the summer months. Having recently become part of the JBL VTX A-series family in New Zealand, NZ Sound owners Ray and Brenda Ward are exceedingly happy. “We are blown away; Bay Dreams was pretty epic. The JBL VTX A12 and A8 systems have performed even beyond our expectations – they sound amazing. JBL certainly helped the artists to put on some of their best performances and the crowd loved it,” says Brenda Ward. With a packed itinerary, NZ Sound were able to provide a quick setup and turn around. 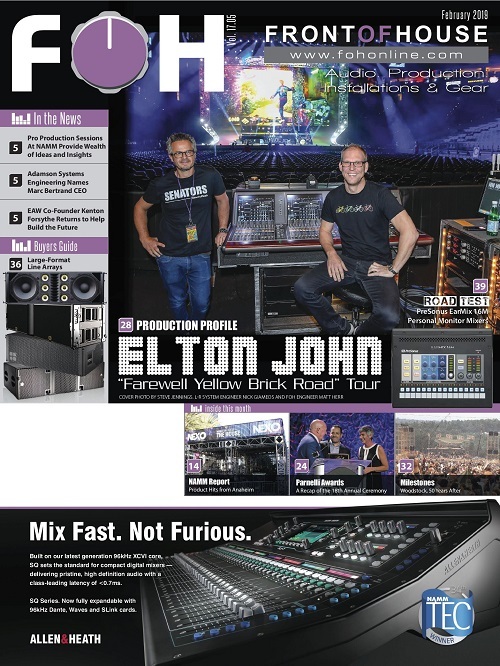 “This is thanks to the VTX A-series new packaging, travel carts and world-leading rigging system, which is far more efficient for transport and set up,” says Tim Robertson from local JBL distributor JPRO, who provided technical support and system design for most of the events. 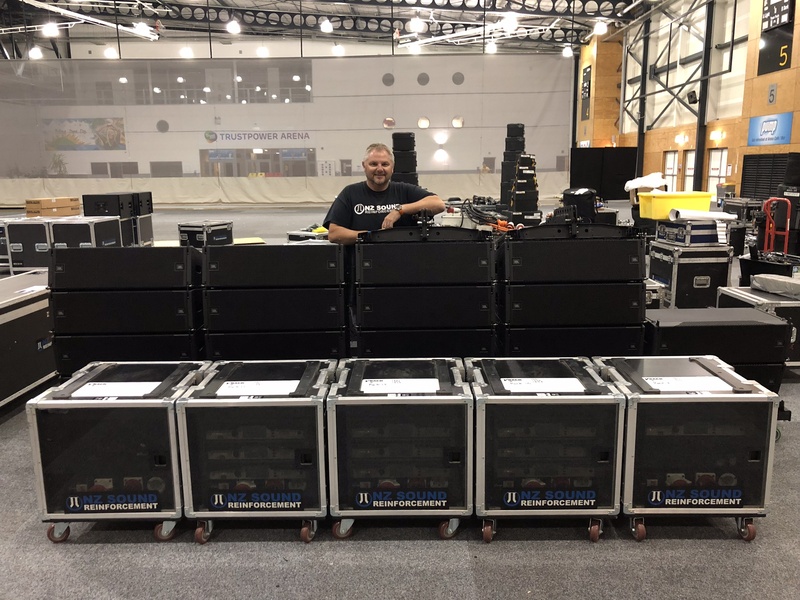 For Bay Dreams, NZ Sound deployed a complete JBL Professional audio system featuring 24 VTX A12 line array loudspeakers on the main hang and 18 of the all-new smaller format VTX A8 line array loudspeakers on side hangs. 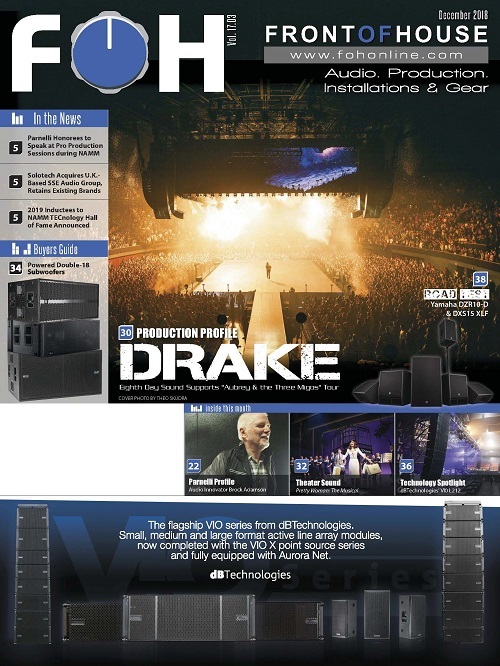 Due to the nature of the performances, 24 ground shaking VTX G28 subwoofers provided tight, powerful bass coverage. Infills comprised of 8 VTX F12 12” biamplified loudspeakers. Stage monitoring was equally impressive, allowing for exceptional audio for all performers with 16 JBL VTX M20 dual 10” and four VTX M22 dual 12” tour monitors for DJ and drum wedges. two VT4883 subwoofers took care of the drum subs with side-fills consisting of two VTX F35 dual 15” 3-way enclosures and two G28 subs. All amplification was provided by Crown V-Racks with Crown iTech 3500 amplifiers, totaling in excess of 500,000 watts of sound power. Audio System management and control were handled through JBL HiQnet Performance Manager software and system set-up made easy with JBL’s Line Array Calculator. 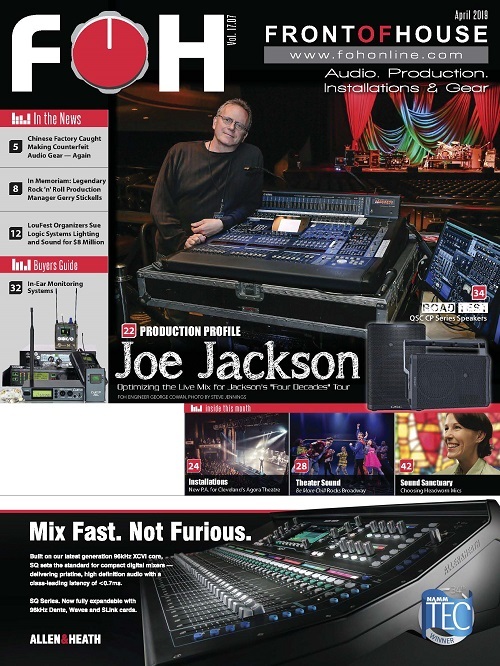 NZ Sound’s Ray Ward with the latest addition to his inventory, JBL’s compact VTX A8 line array.